Connecticut is known for its quaint villages and Colonial charm. In many towns, history seems to remain untouched and historic homes line the roadways. In Woodbury, officially known as the 'Antiques Capital of Connecticut,' First Selectman Gerald Stomski hopes to establish a Connecticut Antiques Trail. He believes not only would Woodbury benefit from this, but other Connecticut towns that are in need of a way to promote tourism and economic growth would as well. The proposed trail would run through Seymour, Oxford, Southbury, Woodbury, Roxbury, Washington, Bethlehem, Morris, Litchfield, Bantam and Torrington. Local antiques dealers are scheduled to testify on Thursday at a hearing before the Legislature's Commerce Committee. Stomski, along with other local politicians, believes that by promoting this specific area of the state as a destination for collectors, dealers, and decorators, these towns will see an increase in tourism traffic. These towns do not have a large industrial base and rely on culture and history to bring people in. 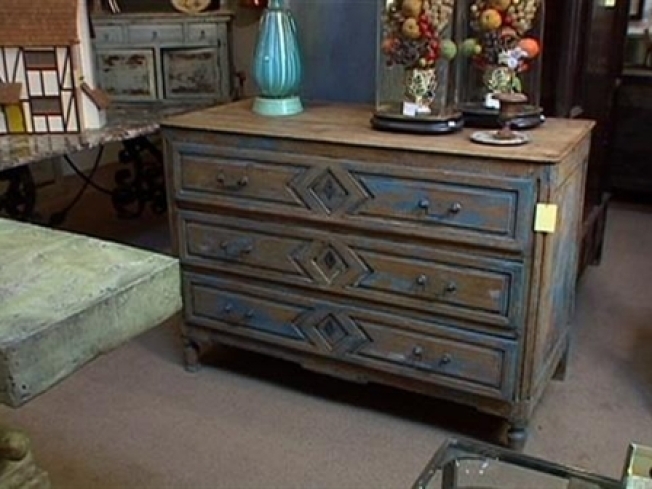 Currently there are signs in Woodbury that designate the town as an antiques hot spot. Stomski wants to be able to help the other towns to capitalize on that distinction as well. "Ultimately our success is the success of the state," Stomski said. Anyone interested in showing their support for the proposed trail can call the Selectman's office at 9203) 263-2141 or send an email to WDBYSEL@Woodburyct.org.